A blog of vegan recipes, food product reviews, and food ideas! Bless this kitchen, Lord and those who gather here each day. Let it be a place where we can meet to love and laugh and pray. 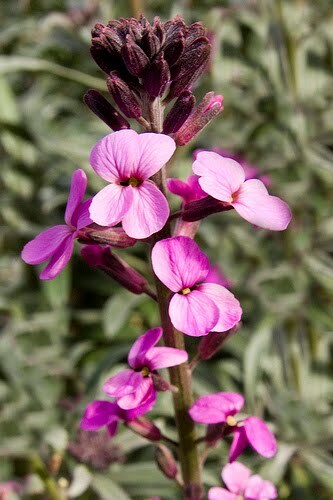 Enjoying the lushness of spring-summer? We had our first warm weather that made us really excited for the start of summer. Time for farmers markets, fresh fruits/vegetables, and spending time outside! We also planted our rosemary and chives that had just been growing on our windowsill. So excited for homegrown fresh veggies and herbs! 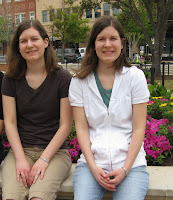 Now, the disappointing news....We've decided to put this blog on hold for now. We feel that we've gotten situated in our daily lives that we don't need to take pictures of every meal. We love staying busy with other activities instead of taking time to record and blog about everything, and are content with just baking/cooking for ourselves. We enjoyed it at one point, but now that we have a house and as time passes, our lives are changing and so are our priorities. We are at the time in our life where we are ready to just enjoy life here in Oregon, instead of reaching out to the internet-blog world. We are looking to volunteer somewhere meaningful, meet friends, garden, home-decorate, learn the guitar, take evening neighborhood walks, travel around the state, read, and many other local activities. We hope you enjoyed reading our blog and got some inspiration from our cooking adventures! We pray you grow to love cooking and baking vegetarian/vegan food...for your health, for the environment, and for the animals' welfare. 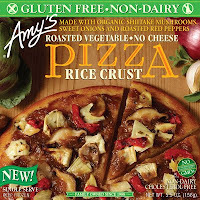 Amy's Products always saves us when we are hungry and want something quick, easy, and tasty. Check out their new product line! So excited about the low sodium beans and rice burrito, as this burrito is our favorite and even better with less sodium! We recently tried the new Gluten-free Roasted Vegetable Pizza - awesome! The rice crust is both crispy and soft, delicious in flavor, and you don't expect it to be gluten-free. And the flavor and vegetables are delicious; are only suggestion of course is more vegetables and tomato sauce, but that is easy to do at home - we just added more tomato sauce and veggies. The cheese is non-dairy and suprisingly we liked it and it didn't remind us too much of milky pizza cheese (which we don't like). We loved it so much, we just split one pizza even though the serving size is 1/4th :) Definitely try this! 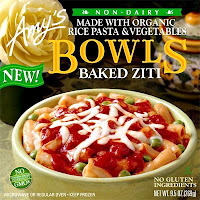 Another product we enjoyed - Non Dairy Baked Ziti. Very tasty, like going to a family-owned Italian restaurant. Very filling! Sometimes Amy's meals aren't as filling, but this was big and hearty, lots of pasta and tomato sauce. The peas added a nice touch, and the cheese again tasted good. It would be delicious with added spinach and then you have a complete meal! Try this delicious authentic vegan ziti! For those vegetarians wanting real cheese, our coworker eats Amy's Indian Mattar Paneer almost every week. She highly recommends this meal, which includes a delicious Indian spiced sauce with carrots, garbanzos, peas, and rice. It's always nice when you visit family out of town, to always suggest Amy's products for a quick lunch or dinner. 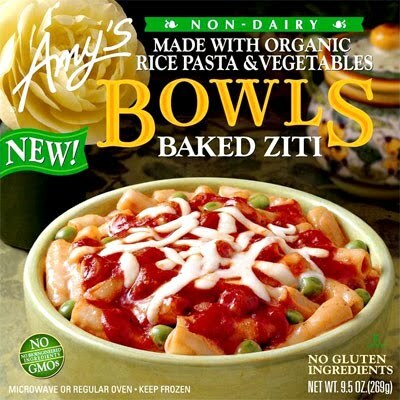 Our family knows where to get Amy's and they eat it too, so we all enjoy an Amy's meal that's vegetarian. So I know we've mentioned Amy's before, but we just HAD to let you know about these finds! We will post soon, we promise! We have been busy with work and are in the process of buying a home! Right now, we are traveling, visiting our family in Texas for Easter. Beautiful wildflowers, including bluebonnets and Indian Red Paintbrushes! We are excited about owning a home, and hope to share our good eats soon! ... products that we are eager to try! Now when we want to buy new products, we always look at reviews! We especially love reading Amazon.com reviews to make sure the product we are considering is highly recommended. Reviews are important and helpful in one's purchases, and we just wanted to shout out short but sweet reviews for some of the products we love. We also have a list of products that we want to try--has anyone tried these? If so what are your opinions? We would love for anyone to comment about these products or any other product that should be known! With our morning breakfast, we start out day with some Amazing Grass greens powder. Add two scoops to a homemade fruit smoothie and we don't even taste "greens". Just fruity smoothie deliciousness. Ever since we started adding Amazing Grass to our smoothies, we have felt healthier and more energized. Just do not try their Amazing grass snack bars - dry, tasteless, and nothing special. Essentials with breakfast - Dr. Fuhrman's DHA. Just 0.5 mL added to a spoonful of your smoothie provides 175 mg DHA. Vegan too! Great product! Food Science of Vermont's Mega Probiotic capsules are also great for your health. We take 1-2 capsules at breakfast: 1 capsule contains 5 billion CFU's of vegan probiotic bacteria and 220 mg of the prebiotic Fructo-oligossacharides. Since taking these, we feel like our digestive tract is healthier with less yeast infection problems. For lunches and snacks, we love munching on Bergin Nut Co.'s Organic Soy Nuts! Nothing but the natural soy roasted into a great nutritious snack! Great for those you are looking for something crunchy like nuts or chips but are allergic to nuts or who want something healthier. Contain a nice amount of fiber and protein! A wonderful gluten-free product, Tinkyada Pasta Joy Brown Rice Pastas are actually our preference over regular wheat pastas! We love how this pasta cooks--just right with a perfect bite, and not too mushy. Try La Tourangelle's Toasted Sesame Oil to make your dinner meals extra flavorful! All natural, high quality sesame oil is great drizzled on rice, quinoa, broccoli, and potatoes. It's also delicious to dip homemade bread in. We actually made a great tasting Sesame Wheat bread and the sesame is just enough to make the bread nutty. Ok, so now for the list of products that have caught our attention! - Organic Nectar's Raw Cacao Chocolate Bars - we want to try these because instead of using cane sugar, they actually use organic palm nectar (aka coconut sugar) which is the best low glycemic sugar on the market! We love coconut sugar and have been experimenting with it at work. And we love dark chocolate, so these bars look delicious. - Yoga Snacks Raw Corn Chips - we love chips, and these look tempting! They contain sprouted corn, and flax seeds, and offer yummy varieties like lime corn chips! Yum. - truRoots Organic Sprouted Green Lentils - sprouting the beans makes the nutrients more bioavailable and preserves the flavor and freshness. - Alter Eco Dark Quinoa Chocolate - another chocolate to try, this one has quinoa in it! So intriguing. Their 73% Chocolate with Cacao Nibs is one of our favorites. Please comment about what you have tried, what you liked, and also some great products not listed that you want to share! Thanks! PS: Lauren of "Ginger is the New Pink" is hosting a giveaway on chocolate! Here's the link. All the chocolate sounds so delicious, authentic, and exotic! In attempt to keep the cooking and baking short and sweet, we continue to go back to these two recipes. So easy and tasty and fun to change them up each time. 1. In a small bowl, mix onion powder, cumin, cornmeal, wheat gluten, nutritional yeast, and flaxseed meal. 2. In a large bowl, mash pinto beans, then add remaining ingredients. Mix until just combined. 3. Add dry mixture from the small bowl to the bean mixture in the large bowl, and mix until well combined. 4. Form 10 - 12 patties. Place on a baking sheet that has parchment paper or has been sprayed with cooking spray. Great for breakfast, snacks, or lunches, these extra fluffy soft biscuits are easy to whip up. Serve with avocado, olive oil, nut butter, or jam. Combine dry ingredients in a large bowl. Add in wet ingredients and mix until just combined. Drop on a baking sheet lined with parchement paper (or use biscuit cutters to cut out biscuits). Bake at 400 degrees F for 12-15 minutes or until just golden. We also wanted to mention a product that we have our eyes on! Mary's "Gone Crackers Crumbs" look like a wholesome whole grain product to use in replace of those bland and refined bread crumbs! We could whip up a tasty dish with these!